Year Of Release : (Original Version) 1981, (Director’s Cut) 1997, (Original Uncut Version) 1988. Awards : Nominated – Academy Awards: Cinematography, Editing, Direction, Sound, Sound Effects Editing, Writing. Synopsis: The crew of a German U-boat face incredible odds to carry out their orders as the War is coming to a close, and the odds stack up against them. What we think : The definitive submarine war film. In the pantheon of genuine masterpieces of film-making, Das Boot ranks somewhere inside the top ten. Epic, terrifying, epochal war film, set during the twilight of the German successes of World War II’s sea battles, Das Boot (Eng: The Boat) is a monument to the bravery and human triumph of those sailors asked to do the unimaginable. Unlike Hollywood-ised examples of submariner conflict, such as U-571, Das Boot shows us that even the men on the German side were questioning their orders in the face of certain defeat. These guys aren’t the square-jawed Matthew MacConnaughey types; the men of the titular U-boat in question are husbands, brothers, lovers and sons – men who never once consider themselves brave or heroic, just soldiers who have a duty to their country. Ve are all ov to var, ve iz! 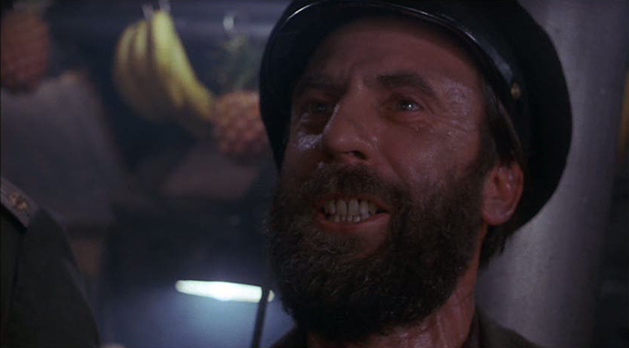 Anybody who witnesses this amazing film will be astounded at just how detailed and genuine Das Boot is. Filmed over the course of two years, almost entirely within the confines of the U-boat set, which itself is to-the-last-screw accurate, Das Boot is a harrowing adventure/thriller. The story of a collection of random guys put together in a leaky, creaky seagoing craft and sent out to sink Allied ships, is relatively rudimentary. Where the film rises above the ordinary is in its characters, how they react to the pressure (above and below) of the terror of battle, and life-and-death hide and seek. Lt Werner (Herbert Groenmeyer) is an enthusiastic war correspondent sent to cover life on board the glorious U-boat fleet, in particular U-96, as a propaganda mission for the German War Office. 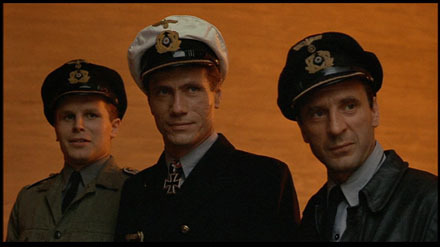 The boat’s Captain (Jurgen Prochnow) sees the arrival of Werner as an unwanted distraction to the duty of the servicemen on the submarine, but accedes to the orders. As the crew departs on their next mission (after quite a boozy night at a local drinking establishment), their spirits are high and expectations large. Werner is initially excited to be on the boat with the crew, a group of sailors ranging from the experienced Chief Engineer (Klaus Wennemann), to the young steering officer Benjamin (Jean-Claude Hoffmann). However, as the boredom of waiting for battle starts to drag on, and their engagements become quite few and far between, the mood on the U-boat shifts palpably. Inevitably, tensions on board lead to violent outbursts, a few of the men going crazy, and ultimately, a lot of unresolved anger. When the engagements between warring parties does occur, the shift in mood goes from bored anger to palpable excitement, a wide-eyed hope that they can kill the enemy before they themselves are killed. Petersen highlights the tension in the air with long, sustained periods of silence between depth-charge explosions, as the Allied ships above attempt to destroy the U-boat. By the end of the film, including the heart-breaking finale, we see the end result of the strain. Of the most surprising things to come out of Das Boot, the main point is how we, in the Western World, find ourselves actually pulling for the Germans, which goes against what we’ve been brought up to do. I tuld you ve ought to stop for food! In the latter days of the second World War, as the German forces were slowly being forced back on land and at sea, the casualties were beginning to mount, and morale among the U-boat fleet was somewhere approximating the ocean floor. Das Boot, set during this period, takes us into a world where orders cannot be questioned (especially amongst the officers) and obeyed even if seemingly suicidal. The boat’s Captain, ably played with fierce intensity by a youthful Jurgen Prochnow, has begun to internally question the methods of his superiors. His loyalty isn’t to the Nazi cause, more the crew he commands, and while juggling his moral judgements to engage an opposition more powerful than he, must try to keep his crew safe. The film is essentially an intimate ensemble piece, with varied characters (from all walks of German life) put together in one of the Wars most pressurized situations. Emotions are stripped bare, or bottled up, to explode at critical moments, resulting in one of the screens most searing indictments on the dehumanization of soldiers during wartime. Life and death decisions must be made, the kind of “for the good of all” ethical stuff that creates great drama. Prochnow, as the lead figure on the boat, delivers a towering performance of the Captain, an everyman trying to survive a brutal conflict. While a man of few words, his eyes betray his emotion almost every time: of all the performances I’ve seen of his on screen, this is the most affecting. Werner, initially the “narrator” of the film, and the one we see the events of the film through, tends to become less the focus and more of a background character, which is perhaps the film’s single biggest issue, leaving the focus of the films main narrative on the Captain himself. I’m not sure if this was intended, or a result of Prochnow out-acting everyone (except Wennemann, whose portrayal of the Chief Engineer is Oscar worthy, in my estimation), but it results in a non-linear dramatic arc for the viewer, as we’re unsure of whom the main focus is supposed to be. Hanz wasn’t afraid to admit it. It was he who had farted. The rest of the crew, a mixture of youthful exuberance and haggard veterans, define their roles easily; they’ve come to be rather clichéd characters in a way, since Das Boot came out, but the realism and genuine performances from the eclectic cast embody the true nature of the film. Hubertus Bengsch, as the 1st Watch Officer, is the most overt Nazi on board, although his tenacity and virulent behavior softens as the brutality of war takes its toll. It’s an interesting dynamic on the ship, as the officers and rest of the crew don’t seem to care much for his stiff, heel-snapping behavior. Other crew members lament their lack of social interactivity; from lovers and girlfriends back home, to their football team losing a game, this seemingly inane banter truly highlights just how similar these men are to everyone else (including the opposing Allied solders they’ve been sent to kill) and just how futile and pathetic war actually is. 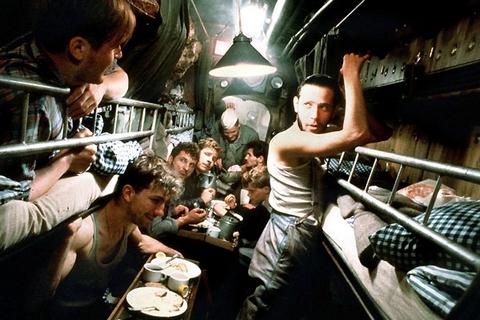 The filming of Das Boot enabled Petersen to create a sense of genuine tension on set, which ended up creating a more realistic sense of the same on film. The actors were stuck indoors for almost a year during filming, resulting in a more realistic pallor upon the final scenes of leaving the ship, beards grown and skin almost albino with lack of vitamin D. This, coupled with a highly detailed replica of the U-boat (apparently also used by Steven Spielberg to film segments of Raiders of The Lost Ark!) ensured a natural realism on the film that couldn’t be faked. Capitan, I say ve go back for ze vimmen! In terms of Das Boot’s technical production, by far the most unique element is the wonderful (and Oscar nominated) sound mix. Long periods of silence, punctuated by incredible explosions of sound and fury as depth charges explode nearby, as well as the eerie “ping” of the sonar, the groans of the sub under pressure as it sinks to dangerous depths; this is a film sound-scape of immense power. Coupled with Klaus Doldinger’s heroic and melancholy score (Doldinger also scored Petersen’s other German-financed film, The Neverending Story), this German language film set the benchmark for just how effective a surround sound mix could be. Speaking of language: as a film fan, I always prefer to watch the film in the language it was originally made in; Das Boot is no exception, as the English dub on the available DVD versions is a little hokey, resulting in a lower dramatic impact overall. Can I suggest watching in the original German, with subtitles, for a substantially better effect? Vot do you mean ve are only halv vay sroo zis movie? Regardless of your thoughts on the German perspective of the second world war, you’ll be swept up in the sheer human drama that is Das Boot. The simmering tensions and wild-eyed terror involved in underwater conflict makes for searing storytelling, a story that Wolfgang Petersen has captured so eloquently with his intrusive and pervasive camerawork. The sweat and tears of life aboard a submarine have never felt so hard earned, so real. After watching this, you’ll feel like you’ve been at sea with them all. Originally released in 1981 at a theatrical running time of 150 minutes, the film has been re-edited several times in the intervening years. A 300 minute TV version was crafted in 1984, and an Original Uncut Version came out running a staggering 293 minutes (just shy of five hours! ), until director Wolfgang Petersen supervised another recut, ending up with the current Director’s Cut, improving both picture and sound (theatrically re-released with a multi-channel SDDS soundtrack) and eventually finding its way onto DVD. At the time of publishing this review, Das Boot is yet to emerge in HD on BluRay, an oversight no doubt soon to be corrected by the usually reliable Sony Corporation (who handle the release of the film). Currently, the best possible way to see this fantastic film is on one of Sony’s original “Superbit” DVD’s, which maximises the picture and sound quality by eschewing anything resembling bonus features. The original PAL DVD version of the Director’s Cut had issues with compression artefacts, while the NTSC Superbit version is a more crisp, issue-free example. Mind you, for a film running over 3 hours, you’re almost always going to have compression issues on a DVD, which is why a BluRay HD release is so anticipated. 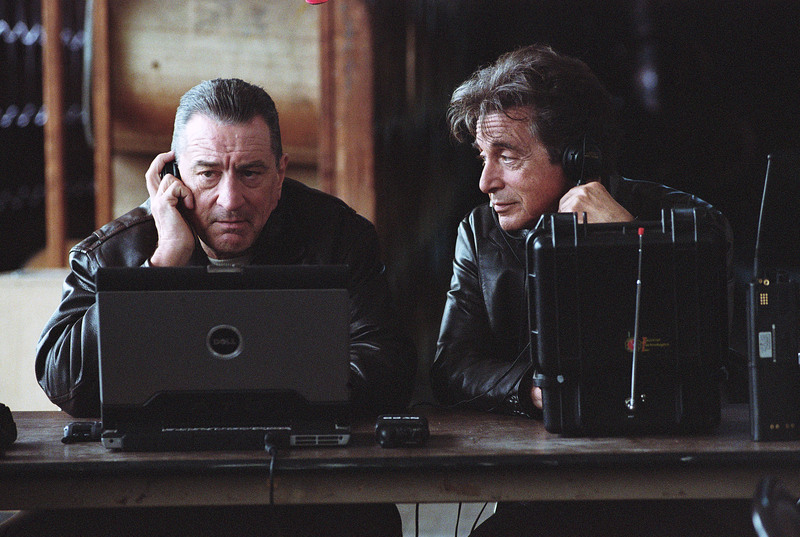 The Original Uncut Edition is also available on DVD format, and was released in 2004. The Warriors Way – Theatrical Trailer online here!!! 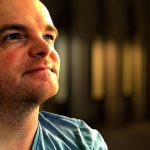 Superman Reboot – Director Announced!!! Terrific review Rodney of a fabulous film. 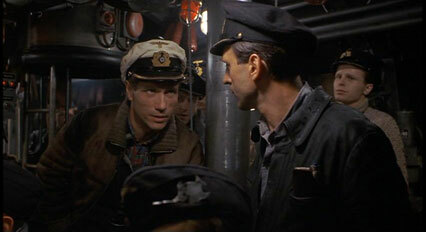 Das Boot has to be one of the most authentic depictions WWII. Not sure which version of the film I've seen, I know it was a VHS release though. Thanks Dan: can I suggest picking a copy of this film up on DVD (either the Directors or Uncut versions) and giving it another watch? Crappy old VHS just doesn't cut it these days!!! Rodney, I have to disappoint you. I have never seen this movie. It's quite the "chore" to watch, which I feel terrible for saying since I love foreign flicks. Unfortunately, it's run time and German audio have made me put it on the back burner for far too long. I'll keep an eye out for this on blu-ray and finally watch it. You've convinced me. So damn you and thank you . My friend, I cannot recommend this one higher. Regardless of language, regardless of running time, this is essential viewing. I'd put it in the same league as Lawrence Of Arabia or Psycho as a definitive film to see because it's so dam awesome. So yeah, allow a full evening immersing yourself in one of the greatest submarine films – nay, films ever – ever made! I await your thoughts when you get to it soon! You'll be wanting to thank me.